Friday 2019-02-22 starting at 19:00. 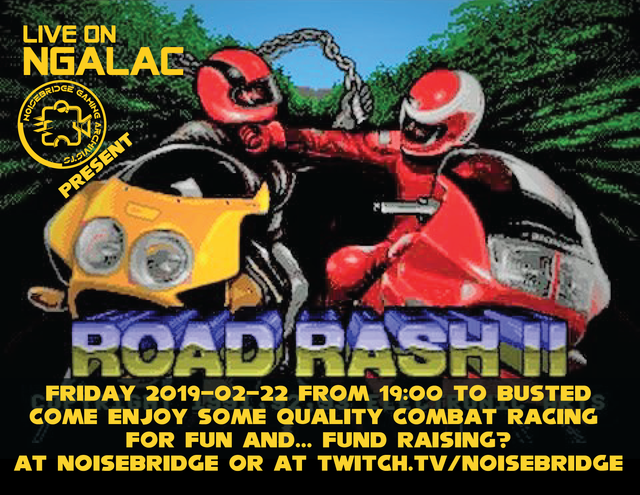 Come play Road Rash 2 at Noisebridge with the NGA. We'll be streaming live via NGALAC to twitch.tv/noisebridge. You can stream anytime on NGALAC, but you are invited to experience some of the best quality racing combat the mega drive with the NGA during this planned event. If you can't come to Noisebridge, join us online. 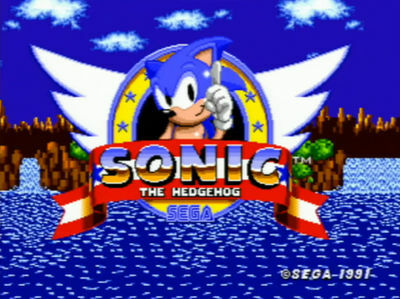 We'll work though the single player and race each other in two player split screen. This page was last modified on 15 February 2019, at 17:03.